I would like to simulate an oscillation movement of 120/100 degrees around a fixed point. Basically, I want to rotate a gear around its axis, but only have a partial rotation and then have it return back. What you're looking for is reciprocal motion, or to convert rotation motion into linear motion (and then back to a limited rotation). Drive the smaller cog normally, this will rotate 360° as normal. 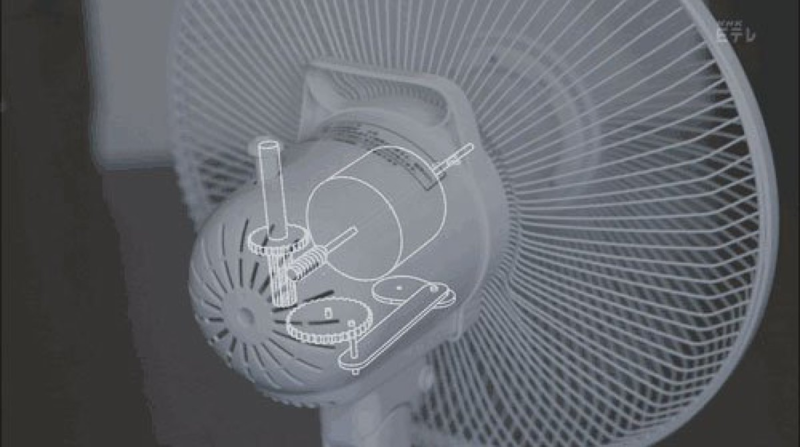 The driving rod will only move as far as the limits of the smaller cog - from the side you can see that this appears to be only going forwards and backwards. The larger cog will be driven forwards a few degrees and then be pulled backwards as the driving rod is pulled back in return. Adjust the distance between the gears and the size of the gears as you require. If you need a larger gear in (3) you could replace the gear with one of the liftarms with an axle hole rather than circles, etc. Not the answer you're looking for? Browse other questions tagged technic building or ask your own question. Is there a Technic set that is just an assortment of parts and not a specific vehicle? What is the difference between these two Technic half bushings? 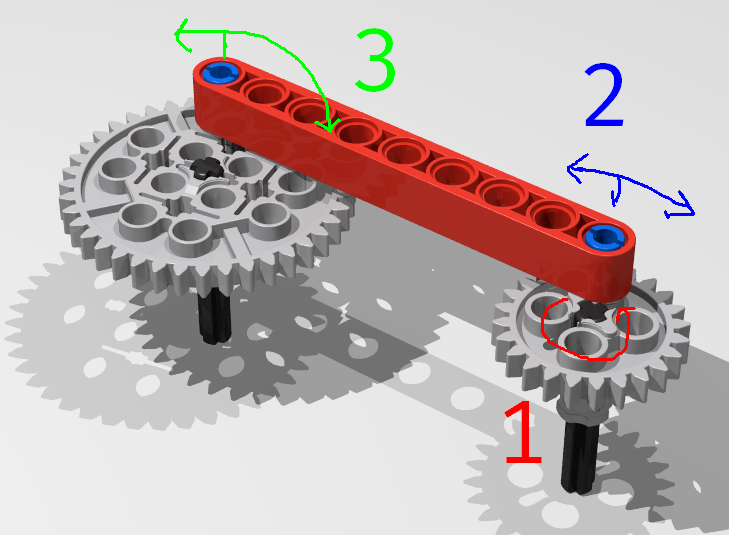 How to design ackermann steering with lego wheel bearing front?